Are you ready for my next Mothers Day gift idea??? Its only two weeks away! Cause I dont know about you. But giving my mom personalized baked goods has always got me bonus points. 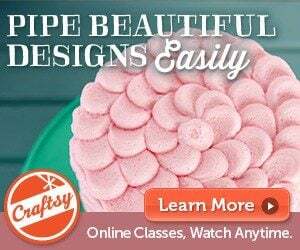 Did you check out the Mothers Day Cake? Or how about the Mothers Day Garden Party? My next idea is not a cake. Crazy! I know. Its a Mothers Day Cookie jar. A Mothers Day cookie jar filled with approximately 4, 531 cookies (four dozen if you want to get technical) with sweet words about mom and one GIANT cookie on the front. 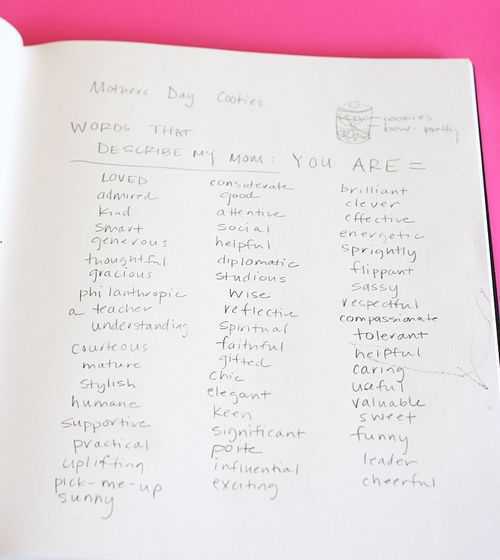 The idea came to me one day as I was trying to find words to describe my mom. I didnt use every word on this list… I have no idea where “sprightly” came from. Although its time consuming, its really very easy to do! 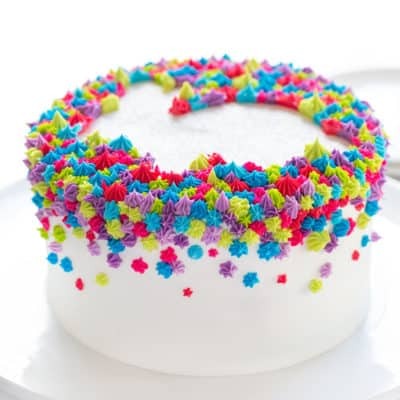 Two colors of icing. Four dozen cookies. Just writing out words. And you can pretty much package these up any old way for a neat effect. I mean. She probably shouldn’t grab one a these cookies a year from now. Two weeks max folks. 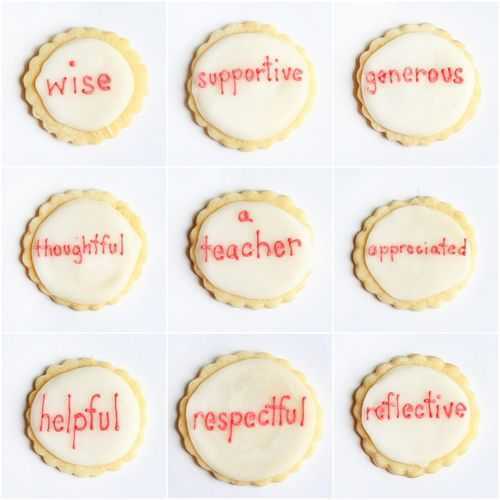 Make the cookies a little bigger and use phrases that are significant to mom. Or write the names of every single child and grandchild. 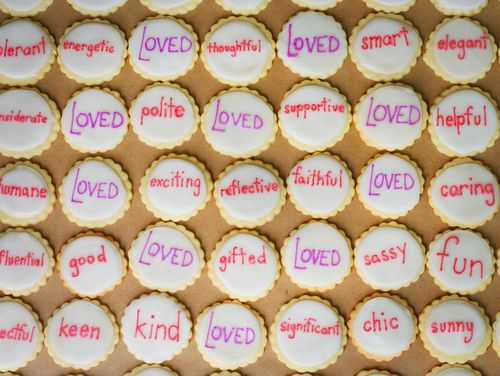 Or just write ‘I love you” on 100 cookies. Whatever you do, she is sure to love it! *If you do decide to try this, be sure to take lots of pictures and add them to my flickr group. I would love to see! Have you checked it out lately? You are all so amazingly talented! 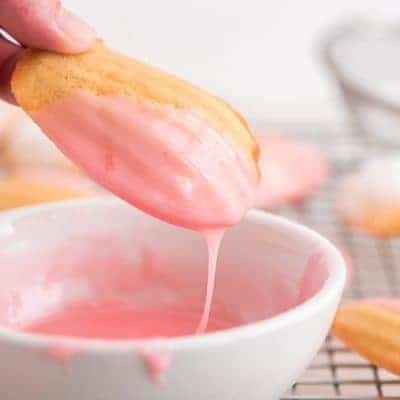 I use my favorite sugar cookie recipe and my special version of royal icing. That’s so sweet, I’m kind of wanting to taste it! 😉 In fact this is a great idea for tomorrow. Yet, maybe I’ll do it some other time even if it’s not Mother’s day. I’ve done so many work lately so I haven’t thought of any idea for my mother. But I have an idea to share too, for mothers who loves to eat outside and make travel anywhere, an eco-friendly stainless steel container may suit her. Because she can pack her lunch nicely, can stack up to 4 different dishes, is easy to carry along, and stainless steel containers from Happy Tiffin are 100% BPA free. So, your mom won’t have a problem with it. With its good design, she can also stack liquids in it such as juices, liquors, water, soups, etc. I think you’ll both love it. 😉 Happy Mother’s day to all Moms! 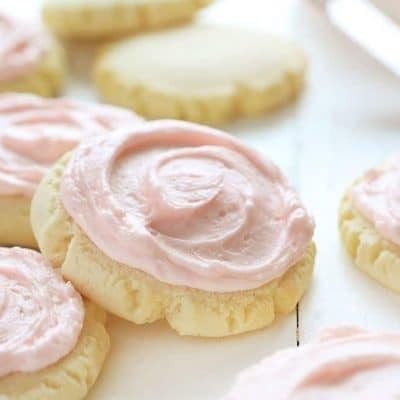 I love your sugar cookie & royal icing recipes!! 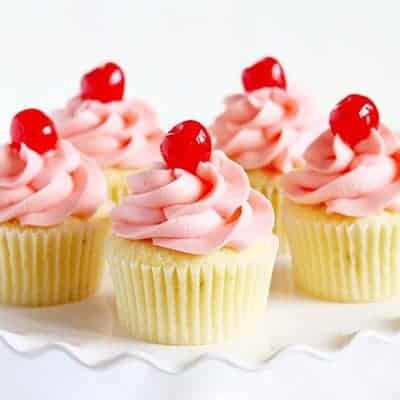 Finally, I have a yummy icing that will completely harden to use in my thumbprint cookies! For sure my mom love this cookie jar I really like it for her. Wish I saw this earlier. Mother’s Day is a great time to recognize our moms.This is a really cool idea and one that for sure will stand out for any mother. I think I am missing something, but how is four dozen equal to 4,531? 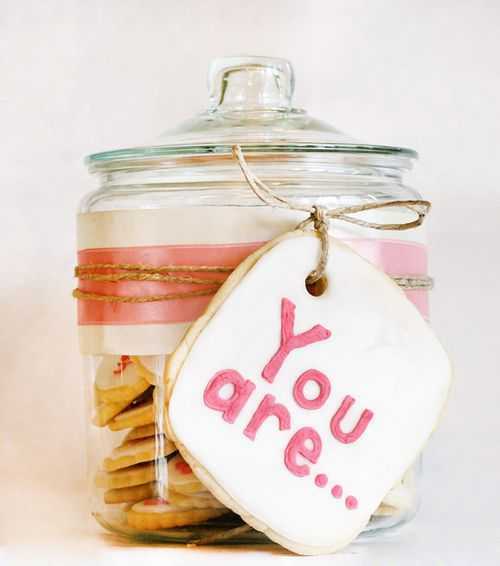 This cookie jar idea is the cutest thing i have ever seen! 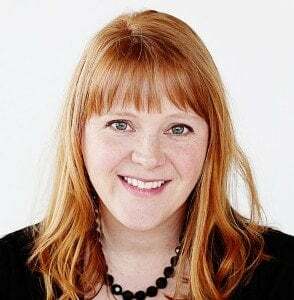 I hope you don’t mind but I am giving you a shout out on my blog on Friday! I feature parties on Fridays. 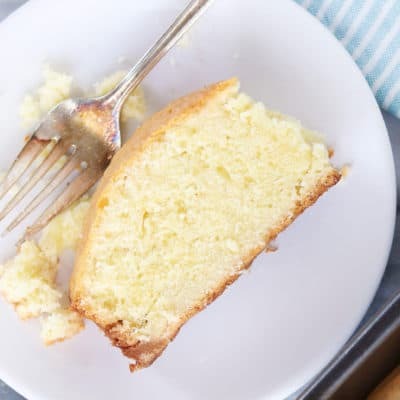 I was thinking of doing a Mother’s Day theme but wasn’t finding much until I started reading through my blog list and you came to the rescue! All proper credit has been stated. 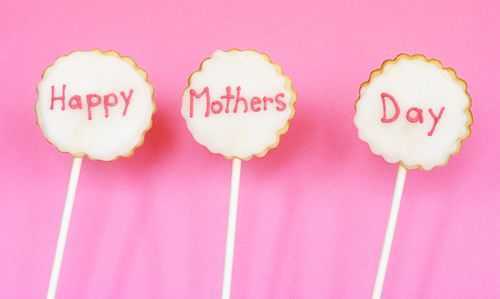 Thank you very much for sharing your wonderful Mother’s Day ideas! 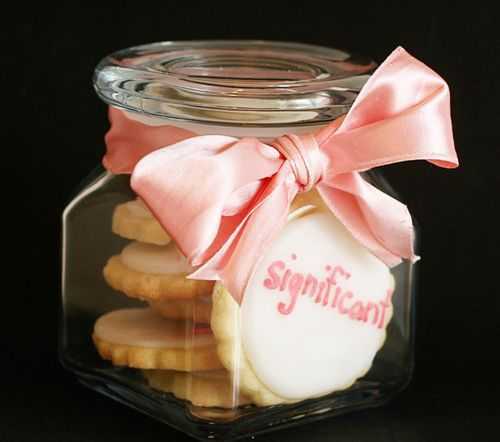 I loved the sentiment cookies in the jar and made them for my mother who is battling cancer. She was very touched and it seemed especially appropriate this year. My sister also loved them and we decided to do a small version for her children to gift to their teachers for “Teacher appreciation” week. Thank you again for sharing your beautiful talents with us all!!! 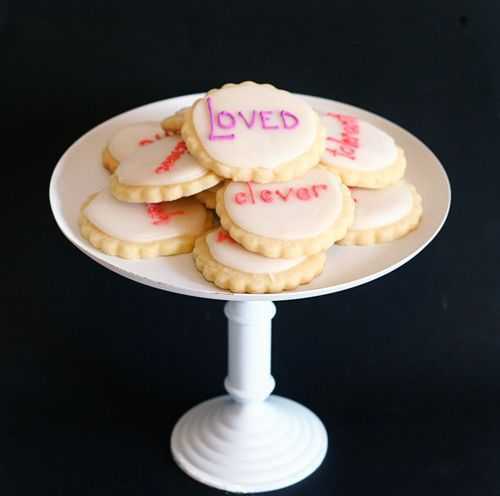 Being a rookie cookie decorator, and not that great at lettering, would the royal icing hold up to one of those edible marker pens? 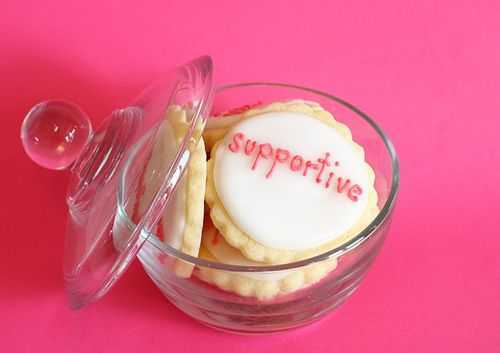 I love this idea, but would like it to turn out decently if I’m giving the cookies to anyone. Yes! Definitely. That is a great suggestion! I love this idea! i would really like to do this for my mom’s birthday at the end of the month. 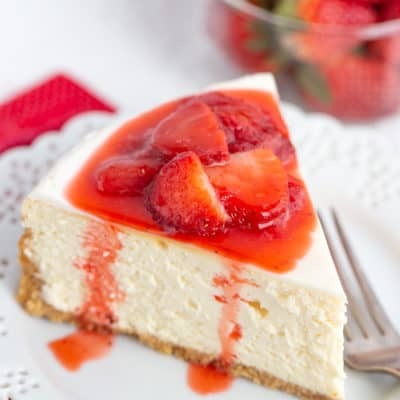 I can follow recipes really well but I am not very good at guessing what kind of ingredients to use. 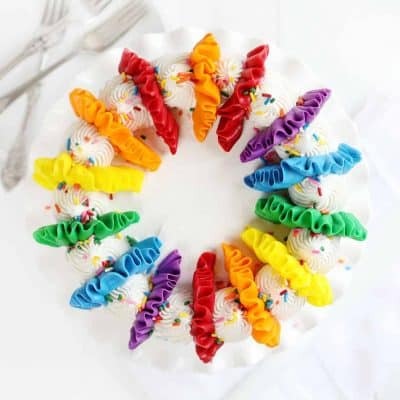 It sounds like you used just frozen cookies and that I can do for sure but can you tell me what kind of frosting to use/how to make it and what kind of icing to use/how to make it for the letters. Also, I love the big cookie on the side but how did you do that? how do you make a hole in it to tie the string and it not just break? Also my mom and I live in different states so if anyone has any ideas on how to send it without the big cookie breaking that would be much appreciated!! This idea is so great! my mom always loves when I make something for her (still as an adult) so this is perfect! thank you!! 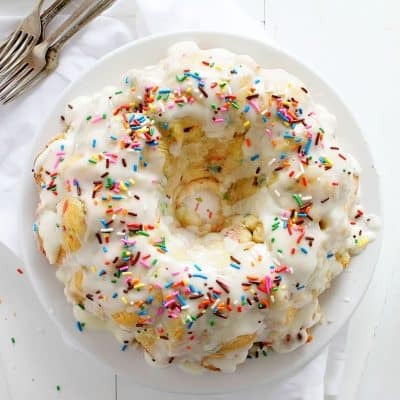 Sorry i did not see your recipe for the icing. I will use that! but do you have the recipe for the sugar cookies? is there any way I can make them chocolate chip? my mom loves chocolate! Also, what kind of jar are you using? where can I get one? sorry for all the questions. I am a newbie at all this but really want to learn! These are so cool! I would love to try them for some other holidays, as well. Thanks so much for sharing. I loved it so much that I featured it on my blog post about Mother’s Day gifts here: http://whittskitsfabricscrafts.blogspot.com/2013/04/mothers-day-diy-ideas.html with a direct link back here.